“Words are, in my not so humble opinion, our most inexhaustible source of magic.” —Albus Dumbledore. Books are truly magical objects that can transport us into a whole other world without us ever having to leave the comfort of our chair! And in children's books that magic is all the more powerful. 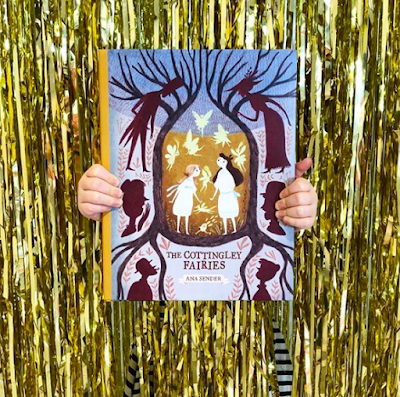 With characters that children connect with, stories that lift you into an adventure, illustrations that create a whole other world, picture books and children's novels capture the imagination like no other. Sometimes books which create magic aren't always the ones you expect because it's in the sharing of the story that the magic comes to life. This month we are looking for a little spark of magic! 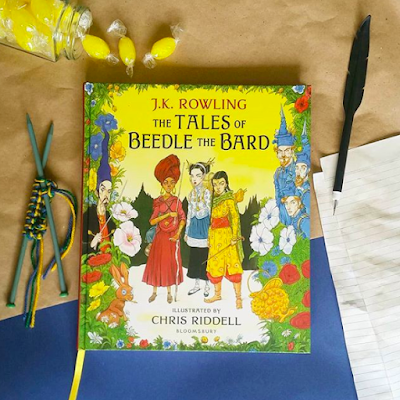 Share with us the books that have worked a little magic in your home with your children. 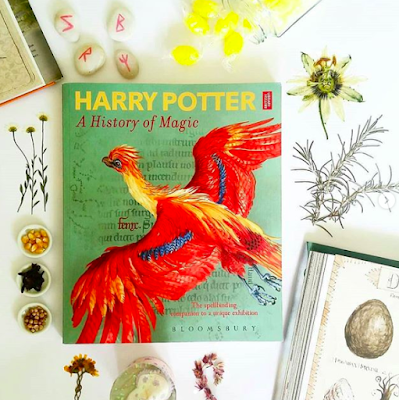 They might not be the most beautiful, or the most well-known but if they have sparked magic in your heart then they are truly special books and need to be shared. 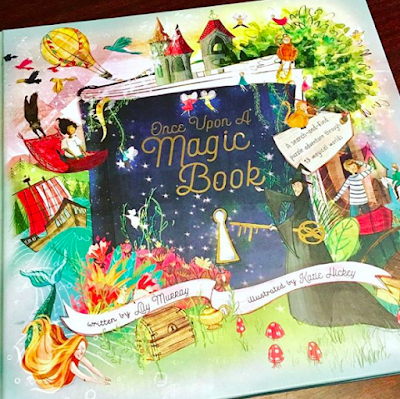 March meant magic for the @kidlitpicks book club, and our theme was chosen by Me!!! Diversity brings knowledge, understanding, unity, love and empathy. Diversity is what makes our world so beautiful. We are all different flowers in a glorious bouquet, a variety of strands that weave together to form an incredible tapestry. It is vital that our children embrace the uniqueness of individuals. “It is time for parents [for all of us] to teach young people early on that in diversity there is beauty and there is strength.” —Maya Angelou. 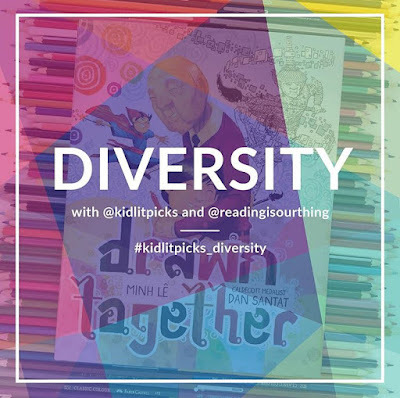 Share with us children’s books that celebrate diversity and tag them with #kidlitpicks_diversity. 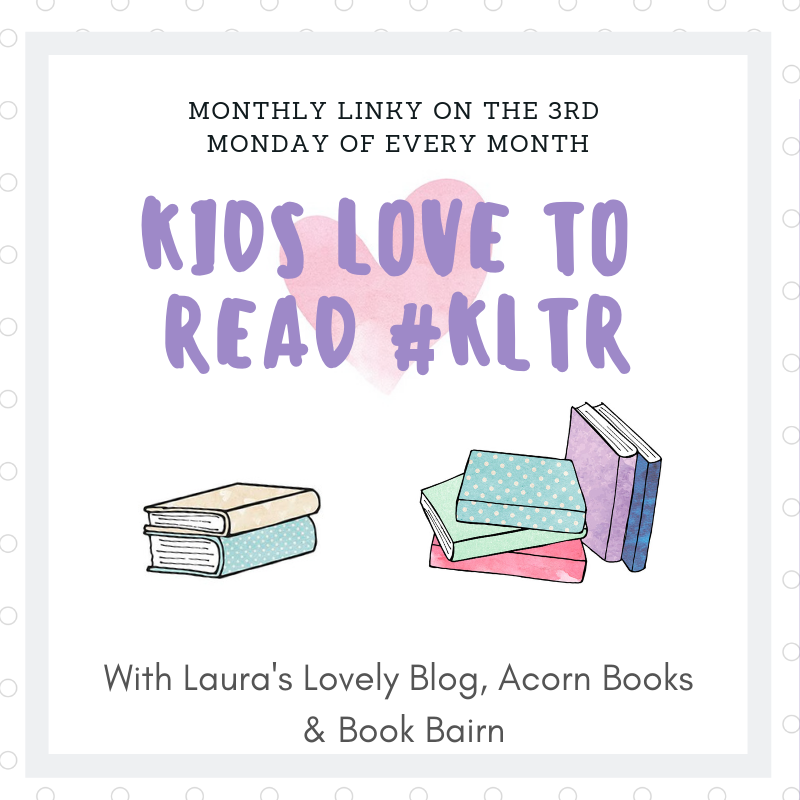 I am so loving co-hosting this monthly linky with the lovely Laura's Lovely Blog and Acorn Books and reading all the wonderful posts that you have shared. Kids Love to Read is a link-up to share blog posts written by other bloggers that star wonderful children's books. It's a great way to find new blogs to read and new book recommendations too, as well as invite people to come and read your own blog. Last month my favourite post came from A Cornish Geek - books for empowering young readers. 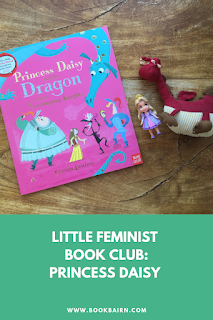 As you know I love books that encourage children to look at strong female role models but I haven't seen any of the books she shared yet! 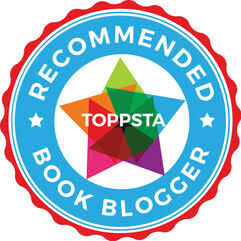 Laura chose a blog post that I also loved by Sarah over at Let Them be Small with a marvelous list of new space books. And Acorn Books chose a very clever post from Along Came Poppy which celebrated Kipper's 30th birthday by making blue balloon-powered cars! We have a fabulous giveaway this month of Fairy Tale Play: a pop-up storytelling book by Julia Spiers which comes with pop-out characters and scripts to act out the traditional tales. And it is truly truly beautiful! *Terms and conditions: Entries are open to UK and Ireland residents. The competition closes on the the 10th May 2019. Winners will be announced on social media and contacted via email. If the winner does not respond to the email in two weeks, a new winner will be randomly chosen. I kept seeing Mixed by Arree Chung on bookshelves, both real and virtual, but it took me so long to buy it. I'm not really sure why as everyone who had a copy was raving about it. I guess sometimes great books are right under our nose but we don't actually read it properly. But one of you lovely readers told me that I had to have a copy, and I'm not sure why but that finally pushed me to order one. And it’s become an instant favourite. I just have read it 100 times in the last month. BookBairn loves it, I love it! 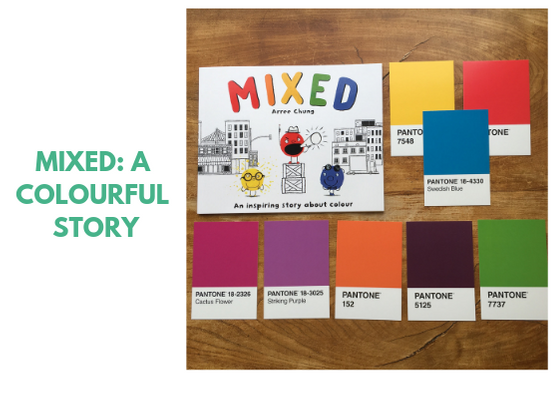 This is a story of colour. In the beginning there were three colours: reds, yellows and blues and they lived together in colour harmony. But one day each colour proclaims themselves the best. And they each go their separate ways, dividing their once happy home into three separate neighbourhoods separated by walls and barbed wire fences. Until one day when two colours fall in love and decide to mix. Creating a whole new colour! And she's so cute. Cute enough to overcome the critics. And finally more colours decide to mix creating a wonderful rainbow of colours in the residents of the new town! This is such a beautiful story and that synopsis doesn’t do it justice. The illustrations are wonderful and unsurprisingly the use of colour is perfect against the black and white backgrounds. The colours really stand out! And the endpapers are my favourite! 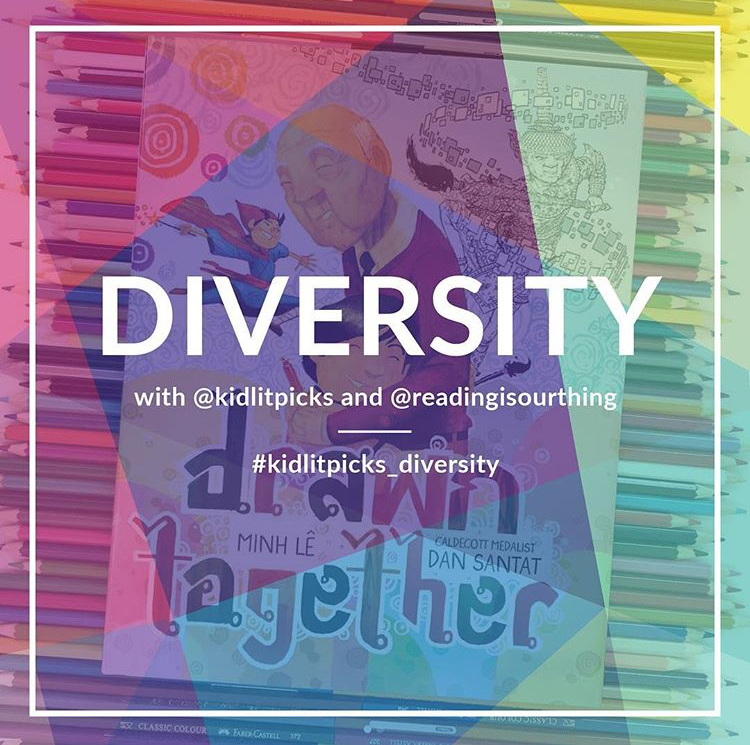 A story about division, inclusion, diversity it’s a fantastic story! I waited too long to buy it! Don’t make the same mistake - get yourself a copy!! Disclaimer: I bought this book with my own hard-earned pennies thanks to you lovely readers who used my Amazon Affiliates link over the Christmas period. Words and opinions are my own. Please read our Review Policy if you want to know more. If you click on the image of the book below you will be sent to Amazon.co.uk using an affiliate link. This means that if you choose to purchase on Amazon.co.uk, I will receive a small sum (around 20-90p per book) from Amazon at no extra cost to you. I understand that you may not want to use an affiliate link, but if you like reading our blog post please just think of it as a small tip for a tip-off to an awesome book. And know that your support means I can buy more books! For more information check out our For Readers Section. When I was sharing a book for International Women's Day earlier this month I couldn't think of a better one than this wonderful might princess book!! 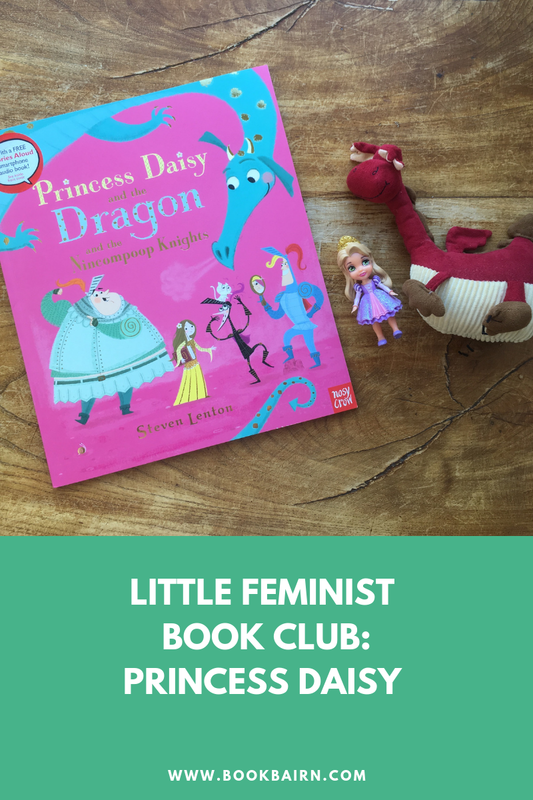 And of course it makes the perfect addition to our Little Feminist Book Club series. is that they sound the same. and a dragon who’s to blame. Who often want a bride. 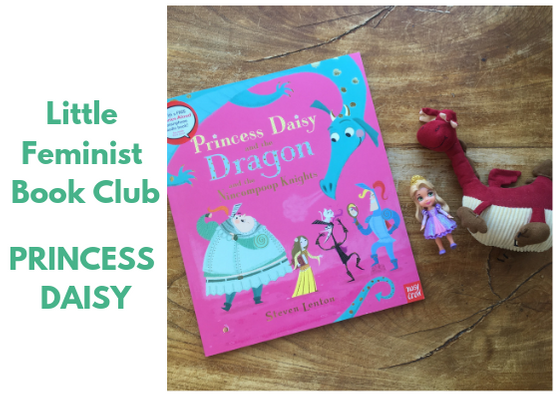 Princess Daisy and the Dragon and the Nincompoop Knights by Steven Lenton is a lot more than just an amusing title! 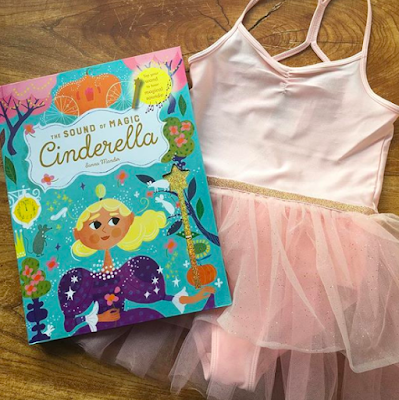 It’s BookBairn’s favourite book at the moment and Princess Daisy is a lot more than your regular princess. She uses the evidence of all the strange and frightening things that are happening in her town to conclude that they have a dragon problem. We can be heroes too! Such an empowering message of a princess who is a bit mightier than some of the old-fashioned ones. But of course, Daisy and the Dragon and the knights all live happily ever after. There are so many great things about this book I hardly know where to start. 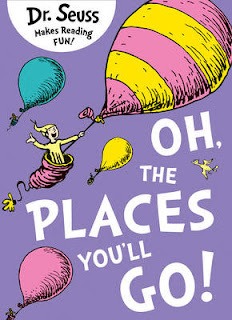 Personally, I love a rhyming a picture book! But they have to be well done and this one is. They rhymes are perfect for reading aloud and they roll off the tongue so well. 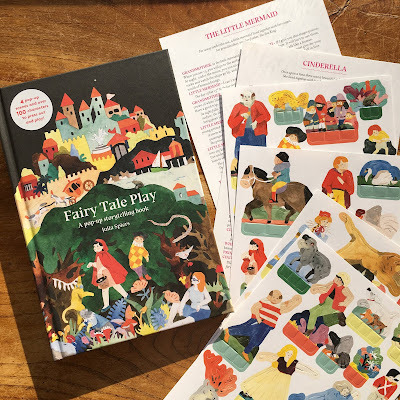 It also has great fun illustrations that bring the story to life with little extras and humour beyond the words of the story - and a little hidden snail on many pages! Another wonderful thing about this book is that it is part of the Nosy Crow Stories Aloud series so you can listen to the audiobook by scanning the QR code or on the Nosy Crow podcast (you could even pop over and listen now to hear how good it is!). And of course our copy is extra special because when we met the lovely Steven Lenton he signed and drew a special dragon for BookBairn. But it’s one that we love and read over and over! 100s of times! 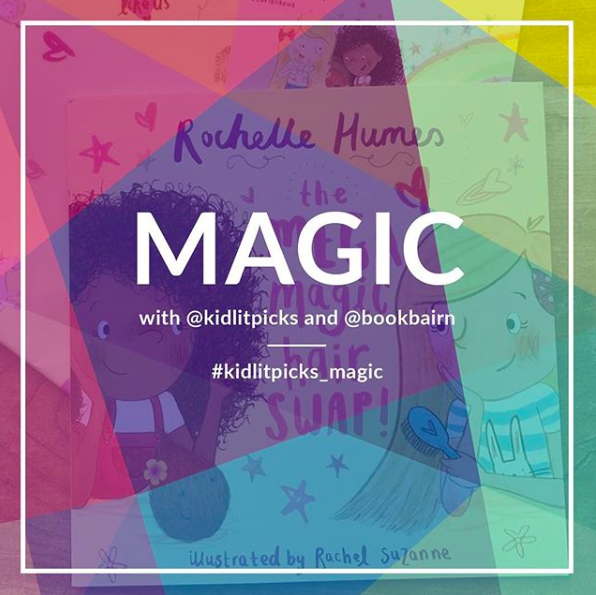 And with a mighty girl message in each read for BookBairn it’s a truly wonderful story! Disclaimer: This book was sent by the publisher for review. Words and opinions are my own. Please read our Review Policy if you want to know more. If you click on the image of the book below you will be sent to Amazon.co.uk using an affiliate link. This means that if you choose to purchase on Amazon.co.uk, I will receive a small sum (around 20-90p per book) from Amazon at no extra cost to you. I understand that you may not want to use an affiliate link, but if you like reading our blog post please just think of it as a small tip for a tip-off to an awesome book. And know that your support means I can buy more books! For more information check out our For Readers Section. BookBairn loves a story about a chameleon! She loves the way they change colour, the way they play hide-and-seek. 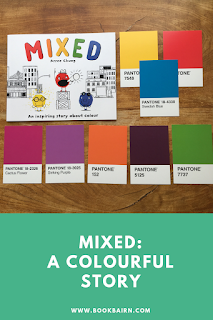 And of course there are many great stories about them for little ones because it's a fun way to talk about colours with children. We've got a list together of the best ones we could find using mostly our local library (and our own bookshelves!). We love the story of Neon Leon by Jane Clarke & Britta Teckentrup. It tells the story of Neon Leon, the chameleon who is neon orange and he doesn't seem able to change colour. This is an interactive story where you try to help Leon fit in with the background and the crowd, and when he can't it's little readers jobs to help him find a place where he can fit in. It's utterly charming, and the illustrations just make this book! 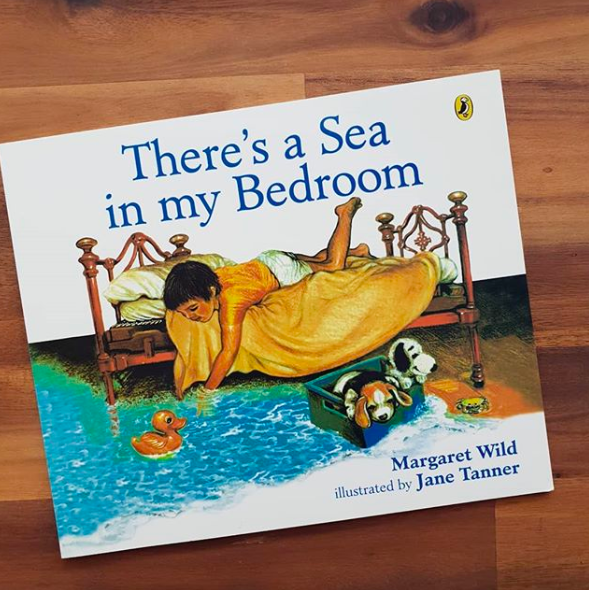 However, despite this book strongly relying on the visual elements, BookBairn loves listening to the audiobook on the Nosy Crow Stories Aloud Podcast too! 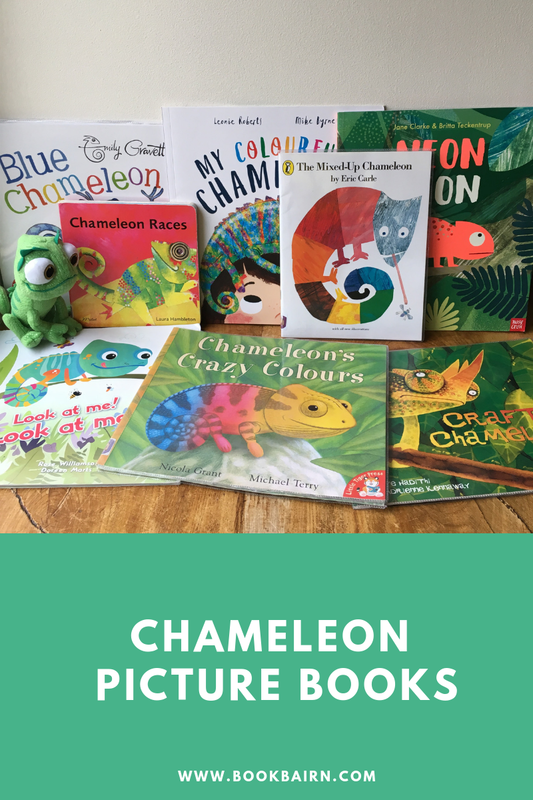 We shared My Colourful Chameleon by Leonie Roberts & Mike Byrne last year when we joined in the blog tour and it really has become a favourite read. We certainly read it three or four times a day for several days after it first arrived and we still read it regularly! 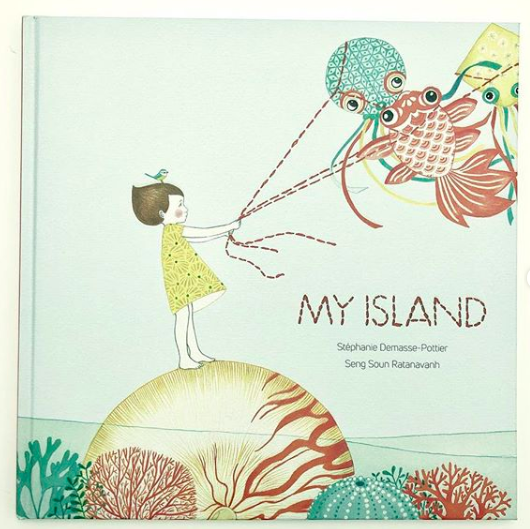 This lovely book tells the story of a little girl and her pet chameleon who just keeps disappearing. Her mum thinks her beloved pet is a pest when they lose it on a daily basis because, of course, it just keeps changing colour. 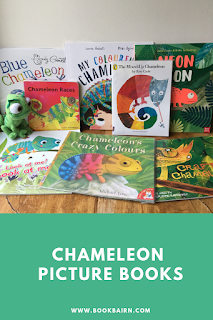 The illustrations are simply adorable and the changing coloured chameleon is irresistible and BookBairn is now fairly insistent on a pet chameleon! Deep in the rainforest all was not well. Chameleon was having trouble with his colours. In Chameleon's Crazy Colours by Nicola Grant & Michael Terry, Chameleon is in a terrible muddle and without his camouflage, he can't hide. Monkey and Meercat offer to help him with his colours but they seem to be more of a hinderance and, in fact, they seem to be enjoying his errors! But what will happen if Lion comes prowling and growling? Perhaps this clever little chap can convince Lion that chameleons are to be feared too? A fun and silly story that has lovely illustrations, we love talking about all the different colours as we read! From the wonderful author that is Eric Carle, and in his distinctive style, The Mixed Up Chameleon is a story that has us laughing out loud! Chameleon takes a trip to the zoo, he decides he would like to emulate lots of the features of all the other animals and he gets all mixed up! With tabbed pages showing all the different animals little ones can find the animals that they love best and see how the chameleon has taken on some of their characteristics.The end result is a rather strange looking creature with flamingo legs, deer's antlers and an elephants trunk amongst many other things. In the end he decides it's better to be himself! And he's better at catching flies than any of the other creatures anyway. We love this one! And enjoy watching the video of the story too! Chameleons are very versatile creatures, changing colour to camouflage themselves, but in Crafty Chameleon by Mwenye Hadithi & Adrienne Kennaway Chameleon is also very crafty and clever. Fed-up with the bullying behaviour of Leopard and Crocodile who keep bothering little Crafty Chameleon and the other smaller creatures, he ties Crocodile and Leopard together without them knowing and as they pull each other all over the forest. Chameleon gets the better of both and proves that brains are often better than strength or size. With lovely illustrations accompanying this moral tale, it's a fun story to read together! Stories about chameleons are bound to be an exploration of colours but in Blue Chameleon by Emily Gravett wit and humour takes it to a new level. With very few words this is such a great story about changing shape and colour to match other objects until Chameleon is exhausted! But finally he meets someone just like him to have fun with and change colours and dance with. In Emily's distinctive pencil style this book is a great early story for young readers but also a fun one for children just learning to recognise words. A very colourful book! 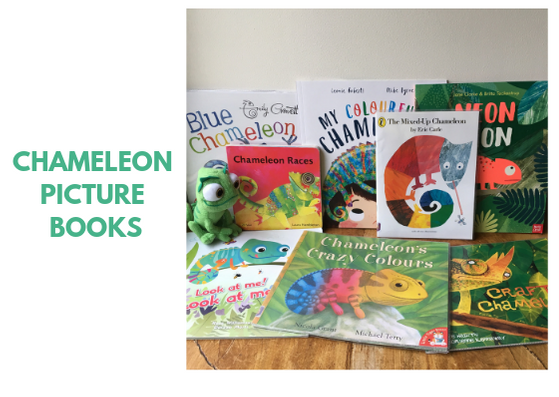 Of all the chameleon books we have shared Look at me! Look at me! by Rose Williamson & Doreen Marts is one of my favourites for helping little ones learn about colour. Cammy the chameleon lives in a tree and she is very good at hiding. But Cammy doesn't want to hide - she wants to be noticed! She begins to wonder what it would be like if she didn't always blend in. And she begins to use her colour-changing powers to transform into the brightest creature in the rainforest! Using contrast colours to make her stand out this book has lots of great images to discuss colours with children and the illustration style is very cute and engaging! The story also has a message though - when Cammy stands out she finds it hard to catch the flies like the other chameleons and she realises that it's not good to be a show off all the time! Such a sweet little reminder for children to embrace and enjoy their special skills but in balance rather than showing off! This is a lovely book we borrowed from the library but I can see us picking up a copy of our own soon! Chameleon wants to have a race and all the other lizards want to join in! From geckos to iguanas, komodo dragons to salamanders all the lizards are involved in Chameleon Races by Laura Hambleton. But who will win? This is a great introduction to all things lizard but also has lots of great vocabulary for movement and I believe there are bilingual versions too making it a great one for language learning! The illustrations are a quirky collage with the eyes of the lizards being photographs this book is such fun! And a nice one for little children! I hope you have found some wonderful books for your little ones to enjoy as they learn about colours and our little camouflaged buddies. Disclaimer: these are all our choices. Some were sent from publishers (others are books that I have found using our local library's online catalogue to search for) but they were not sent in connection with this post. Their inclusion here is my choice. Because I really do think they are great. Please read our Review Policy if you want to know more. If you click on the image of the book below you will be sent to Amazon.co.uk using an affiliate link. This means that if you choose to purchase on Amazon.co.uk, I will receive a small sum (around 20-90p per book) from Amazon at no extra cost to you. I understand that you may not want to use an affiliate link, but if you like reading our blog post please just think of it as a small tip for a tip-off to an awesome book. And know that your support means I can buy more books! For more information check out our For Readers Section. 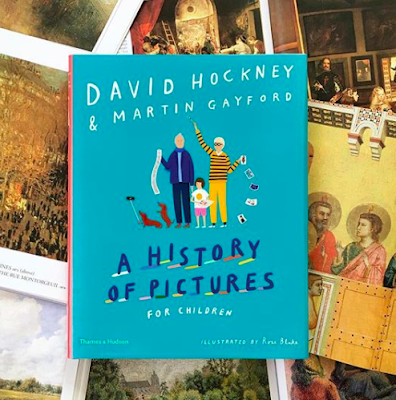 A quick turnaround since out last Touring Picture Book post but when there are such wonderful books to share it's no wonder we had to get this one out to you quickly! 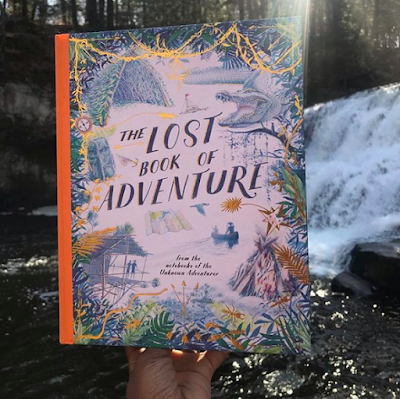 If you're new to the Touring Picture Book: welcome! The team love to share a fun new release and a follow-up activity you can do with your children or a connection that we have made to the book that you might find helpful to think about. And it has taken us a whole month to come up with the next couple of books as there have been so many interesting new releases already this year! But we are starting with an inspirational one! in the swamp by the light of the moon. singing his little frog tune. so he stopped and he let out a sigh. what a lonely wee froggy am I." 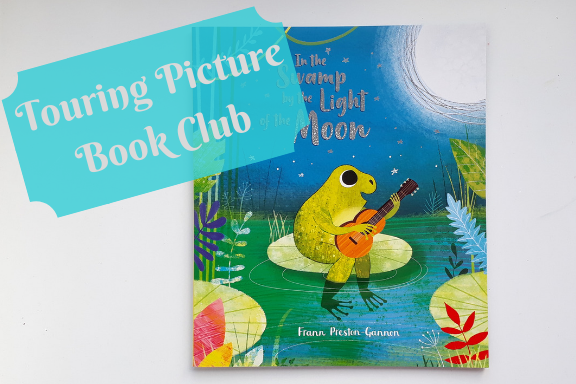 In the Swamp by the Light of the Moon by Frann Preston-Gannon is the story of a little frog who is singing to himself in the swamp one night but he finds that his song just doesn't seem right. It's incomplete. He is missing something - or someone? So he invites the other animals to join in. And so in pour the beats of the crocodile, the melodies of the mice, the harmonies of the fish, the tones of the birds but still something is missing. The tiny voice of the bug. But bug feels that her voice is too small and not pretty. So frog has to convince her that he voice is beautiful. each voice blended in with the rest. needed everyone's voice to sound best. To describe this book as a lyrical picture book just doesn't seem to do it justice! 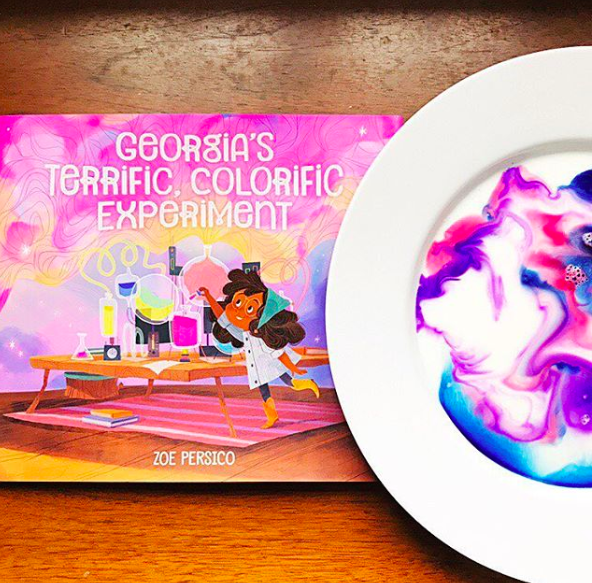 With a message of inclusivity, that all voices - no matter how small - should be heard, this is a picture book that will resonate with readers of all ages. And I love that the little bug (who turns out to shine a light on the problem!) is on every single page - probably ignored by older readers but definitely something little children will spot! And doesn't that support the message too. The colours in this book are incredibly evocative of a beautiful swamp (if there is such a thing as a beautiful swamp) with a fairytale-like quality. 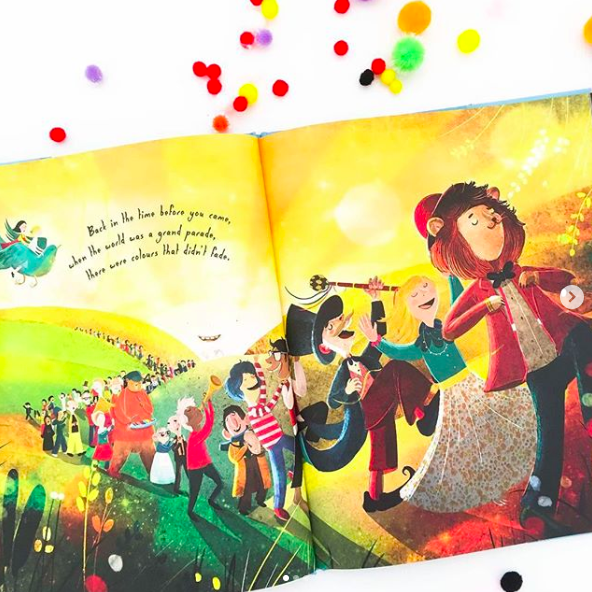 The characters are enchanting and will have your little ones wanting to join in with the song. (If you are looking for ideas on how to do this check out my fellow TPB bloggers linked at the bottom of this post.) An absolutely outstanding and heart-warming picture book! When I was in Girl Guides I learned how to make an origami frog and it's a skill that has stuck with me - I can still make them by heart! And what's more they are a great little trick to have up your sleeve with children as this particular frog has a folding mechanism that means he can literally jump across the table - meaning you can have frog jump competitions etc. But I've never written a tutorial like this before so I've taken lots of photos to help and hope I can make it clear for you. 1. You need a square piece of paper. 3. Fold it again to make a small square but then undo that fold so you have a nice clean crisp. From here on we work on the top half and then the bottom half to make things simpler. 4. On the top half of your rectangle, fold the top left hand corner half way, and crease. Unfold it. And repeat on the top right corner. When you unfold you should have a cross at the top. 5. This is the trickiest step. Put your left finger under the left triangle and your right finger under the right triangle. Push them together and downwards to create a fold. Then flatten the top piece to make a triangle. Press all these creases nice and firm. That's the top part (almost) finished. If you managed that you're over the worst!! 6. Working on the bottom square now. Fold it in half upwards. 7. Fold the left and right edges in towards the middle. This should make an arrow shape. 8. Fold the bottom square upwards in half again. 9. Fold the top rectangle edges over to make two small triangle shapes. Just watch here as the paper gets quite thick! 10. Gently pull these edges outwards to make a boat shape. 11. Fold those edges down to make the legs of the frog. 12. Fold the ends of each 'limb' to create feet for your frog. 13. Fold the frog's bottom all the way up so that it covers the head using the existing crease. Then create a fold in the middle of the bottom to create a hinge that you can use to flip your frog. 14. Flip him over, pull back on the spring and watch him hop. I hope that all makes sense and the photos help explain my instructions! And you have a lovely little jumping frog! You can let the kids add eyes and decorate them and then have a jumping competition. If you did manage to follow those ramblings please do tag me in your froggy photos!! 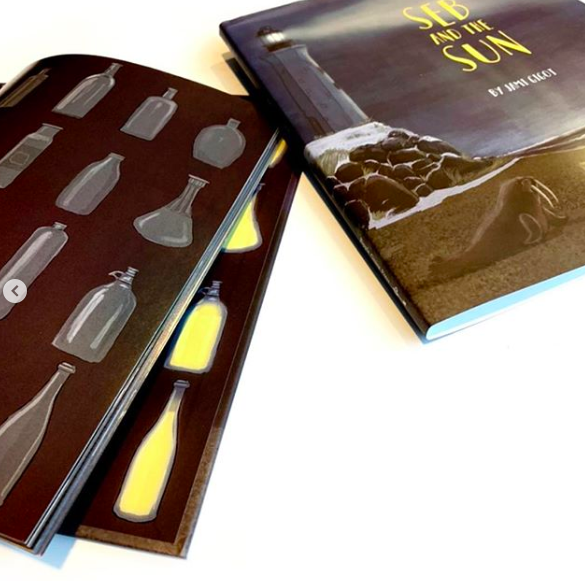 Check out the other activities happening across the Touring Picture Book Club and pop over to our Twitter to be in with a chance of winning a copy of In the Swamp by the Light of the Moon of your very own! And look out for our next touring picture book which will be Sunflower Shoots and Muddy Boots by Katherine Halligan & Grace Easton. And if you've popped over from one of the other fabulous blogs - hello! And our regular readers - hello to you too! We would love to hear if you have any signed books that you love! Mummy, BookBairn and the Touring Picture Book Team! Disclaimer: all four bloggers were sent copies of the book after we reached out to the publisher and requested them and we were provided with an additional copy for the giveaway. Words and opinions are each of our own. If you click on the title or image of the book you will be sent to Amazon.co.uk using an affiliate link. This means that if you choose to purchase on Amazon.co.uk, I will receive a small sum (around 20-70p per book) from amazon at no extra cost to you. And by using our Audible links I receive what is called a 'bounty' but is also a type of commission. I understand that you may not want to use an affiliate link, but if you like reading our blog please just think of it as a small tip for a tip-off to an awesome book. And know that your support means I can buy more books! For more information check out our 'For Our Readers' section.